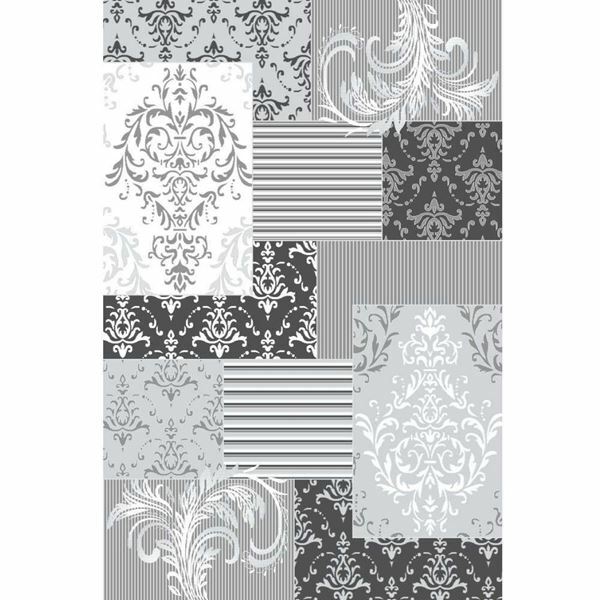 Our Damask Patchwork Rug is made up of shades of gray and white background colors with stylish Damask Patchwork design that appears throughout the rug. With its patchwork design of damask patterns, the Patchwork Damask Rug in Gray adds a comforting ambience to any room setting. The damask pattern makes this patchwork rug ideal for cozy, transitional decorating concepts. Our Damask Patchwork Rug is made up of shades of gray and white background colors with stylish Damask Patchwork design that appears throughout the rug. The damask pattern has been around long enough to know that it's always going to be a classic. It’s also extremely versatile, looking just as flattering in a modern home as it does in a traditional setting.